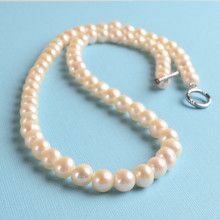 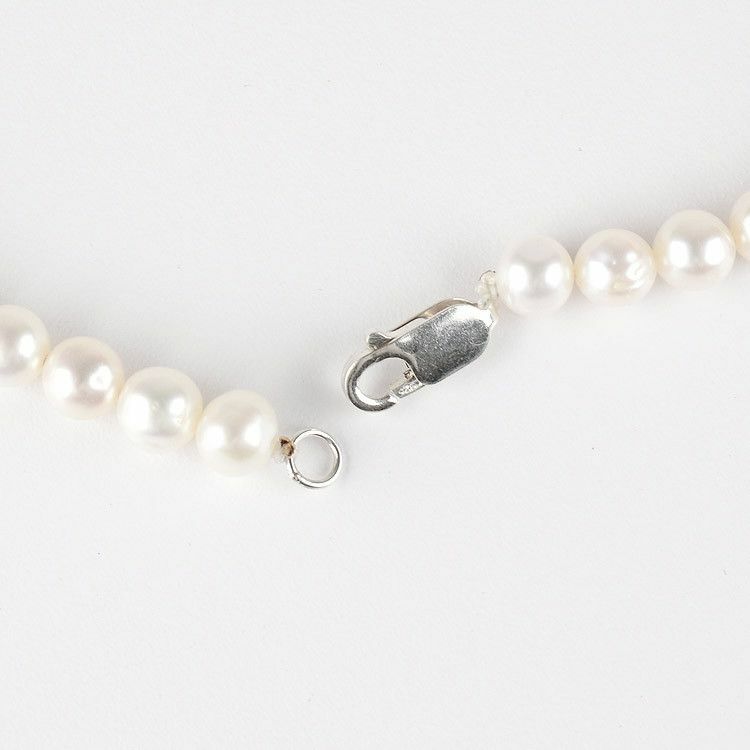 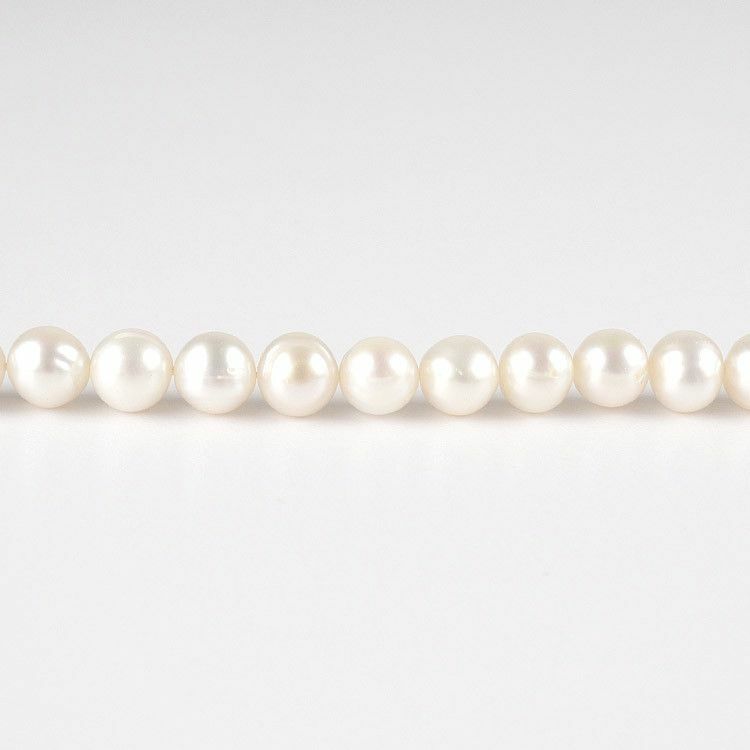 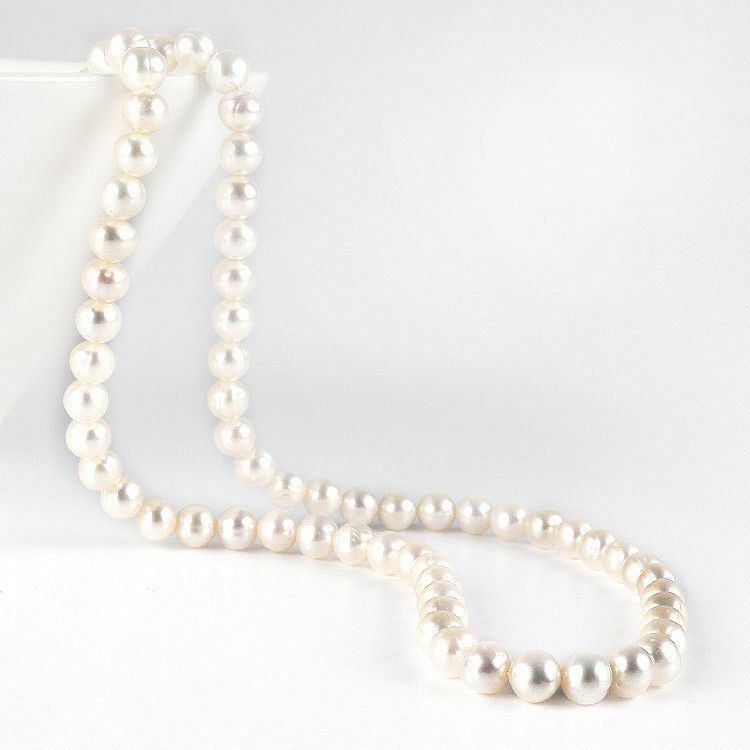 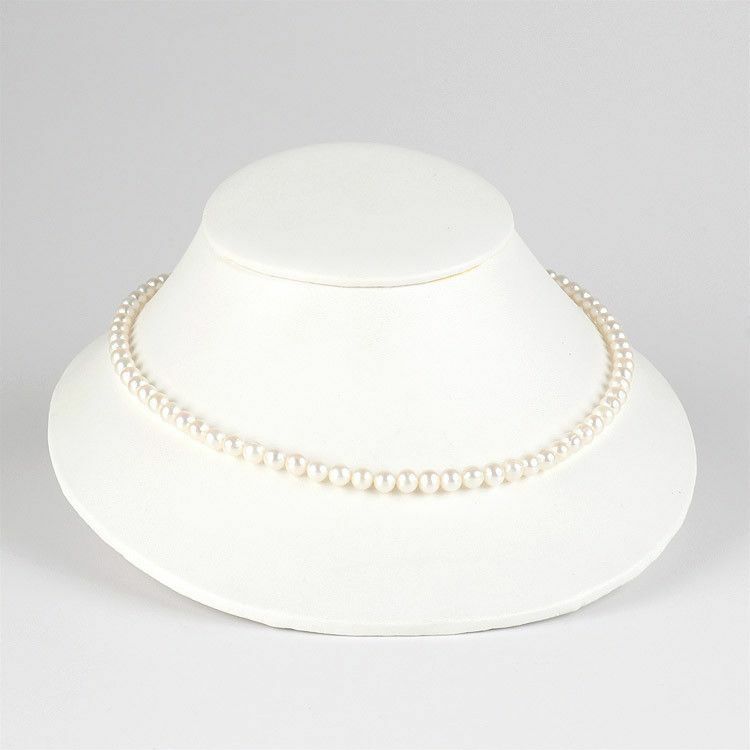 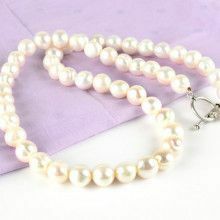 This beauty of a necklace features about 20" of freshwater pearls. 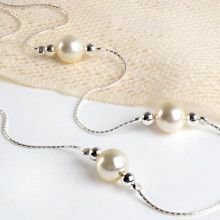 They are mainly a creamy white color and are about 1/4" in diameter. 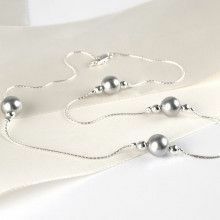 A silver lobster claw clasp completes the classic necklace which is sure to be in the family jewels for a very long time.